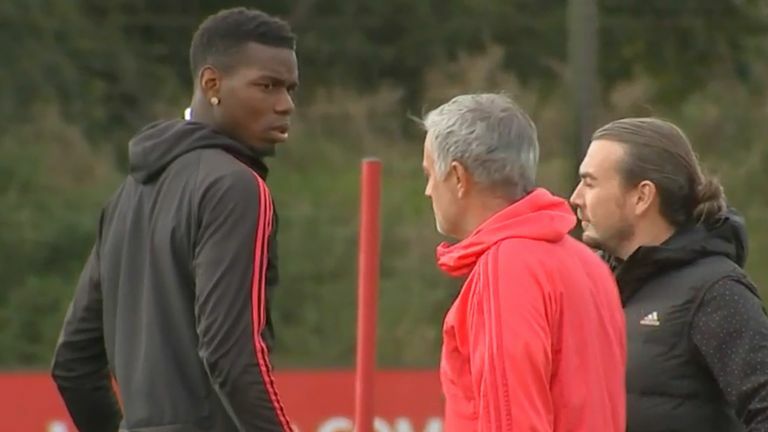 Jose Mourinho and Paul Pogba had a frosty exchange, which appeared to be about the midfielder's Instagram, on Wednesday as he returned to training after being stripped of the Manchester United vice-captaincy. 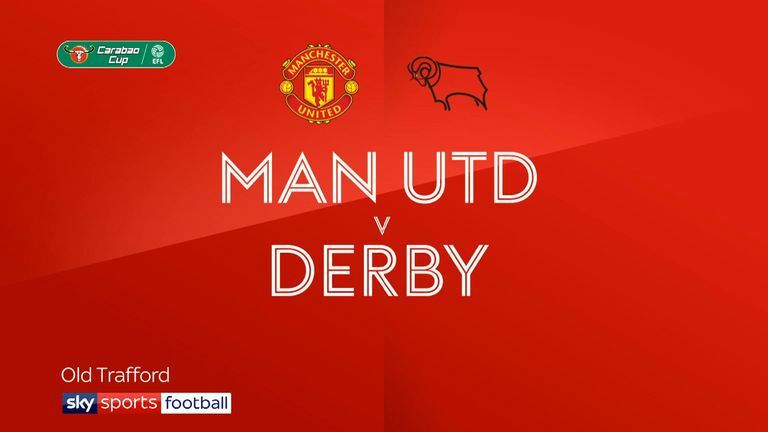 The United manager denied reports of a bust-up between the pair, but Wednesday morning's interaction - captured by Sky Sports' cameras - suggested otherwise. Sky Sports News filmed Pogba coming out for training - the morning after Mourinho insisted there was "no fallout, no problem" between himself and the World Cup winner. Is this the post that led to the exchange between Pogba and Mourinho? 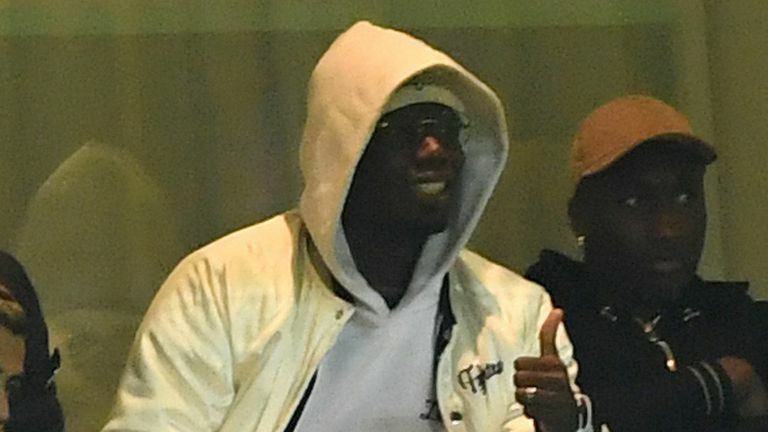 During the conversation, Pogba appears to point towards Luke Shaw and Andreas Pereira who feature in an Instagram story he posted from the stands during Tuesday's defeat at Old Trafford. Sky Sports News' microphones picked up Mourinho bringing United press officer John Allen into the conversation, asking him: "When did Paul post that Instagram?" The midfielder, who left the ground before the penalty-shootout, also took to Instagram following his chat with Mourinho posting a selfie in his car, alongside a 'crazy face emoji'. The France World Cup winner has previously been criticised for undermining Mourinho's tactics, calling for his side to "attack, attack, attack" following their 1-1 Premier League draw against Wolves last weekend. Cooper said: "One thing is clear now, and this is the one thing that has changed in the last 24 hours - the whole situation is now very much out in the open." Click on the video above to watch the awkward encounter during training!